The 'Zipline' can carry medicine or even blood. 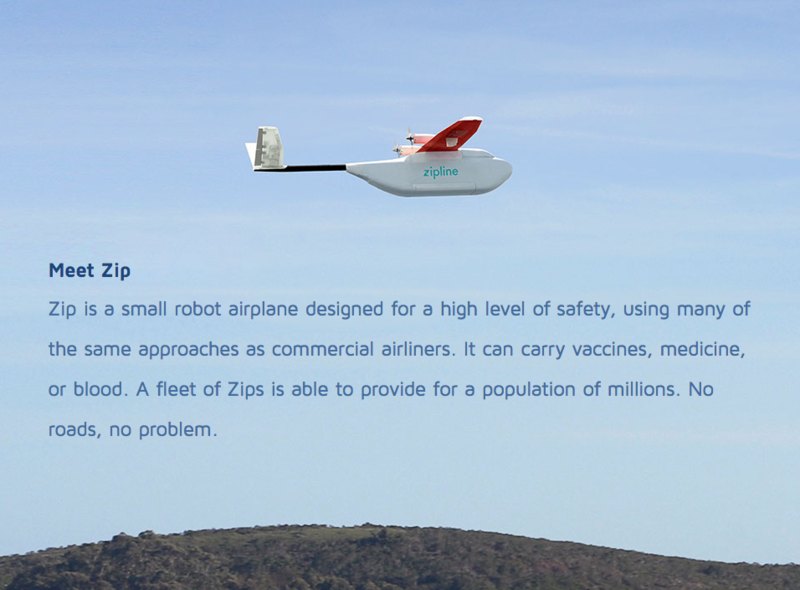 The San Francisco based startup, Zipline, is set to begin testing its drone delivery system intended to deliver medical supplies to remote areas of the United States. While it’s still pending FAA approval, flights for Zipline’s drones are poised to demonstrate just how useful unmanned aircraft technology will be for the dissemination of critical care supplies. The initiative is set to reach areas such as Smith Island, Maryland and the Pyramid Lake Tribal Health Clinic in Nevada, where it will deliver items such as blood, medicine, and other medical products. To test the deliveries, Zipline will be partnering with Ellumen and ASD Healthcare as well as the non-profit organization, Bloodworks Northwest. Backed by $19 million in venture capital investments from companies such as Google Ventures, Sequoia Capital, Microsoft co-founder Paul Allen and Yahoo co-founder Jerry Yan, Zipline has designed its own drone, and a launch and landing system for the project. While testing will be conducted in the US, the company has focused on Africa as its primary market since its inception; in fact, the company has pioneered the use of unmanned aerial vehicles for logistics services focused on health. Nevertheless, Zipline believes that this kind of technology has a lot of applications in the US and the rest of the world. And once Zipline begins testing this White House approved initaitive, it has the potential to shift the national framework for the commercial drone sector.